"What's it like to be the most beautiful girl in the world? But Molly soon discovers that beauty--and her wish--comes with a price. 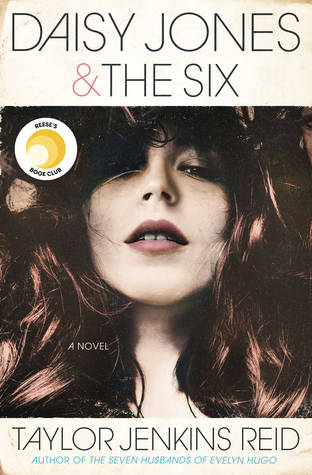 She's faced with an impossible choice: Will reclaiming her true identity mean letting go of Hudson for good?" Thoughts: When I first received Beauty, I had not heard of it nor had any expectations. All I knew was that it sounded cute, so I gave it a go. Boy howdy, am I glad I did because Beauty was exactly what I needed to bring me out of my reading slump. Adorable and yes, a bit predictable, Beauty is the kind of book you can easily breeze through in one sitting. The concept behind the book kind of reminded me of the movie BIG (you know, the one with Tom Hanks). Yes, I'm THAT old. Anyway, it basically centers around a girl (Molly) who believes she isn't pretty and wishes she was. She has her two friends, one who could care less about looks and popularity (i.e. the genuine one) and another who centers her life around it (i.e. the wannabe). After an embarassing moment at the local carnival, Molly stumbles upon Dharma, a lady who not only sketches a portrait of Molly but changes her life. Molly confides in Dharma and wishes she could be the most beautiful girl in town. Well, you know what they say about wishes. The next morning, Molly wakes up and all her awkward features have mysteriously transformed into something beautiful. Guys everywhere are tripping over each other to catch a glimpse of Molly. Even her friends can't believe it, and the girls who once teased her about her looks are now begging to be in her good graces. The best part? Her long time crush, Hudson, is finally taking notice. EEP! But, like all wishes, this one comes at a cost. Is popularity worth sacrificing her real friends and most importantly, herself? Something I really enjoyed about this book was how relatable Molly was. What girl doesn't dream about being the most beautiful girl in town? Everyone has insecurities and if you say you don't, you're lying. If someone could fix the thing you hate the most about yourself, would you refuse? I wouldn't! The big question is, is it worth it? In this case, Molly's insecurities revolved around her looks, and it's pretty shocking how much looks reflect how people treated her. Of course, at times, Molly doesn't exactly take the noble path (which is understanble), but all in all, I enjoyed reading her story. Hudson. To be honest, in the beginning I really didn't like Hudson's superficial nature. He tries to be the good guy but (like most teenage guys) gets caught up on looks. Towards the middle of the book, though, he grew on me. He was always a sweet guy, but as the story unfolded, he becomes the good guy with a good heart. I love how he's one of the popular kids yet still doesn't treat anyone like they're beneathe him. He became more and more real as the story progressed and probably grew the most out of all the characters in the book. By the end, I hearted him. 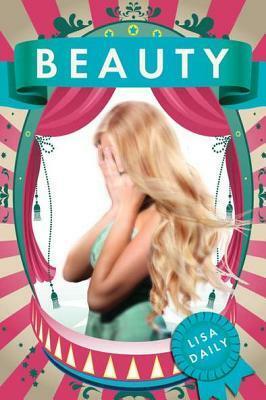 Overall, if you're looking for a spunky summer read with a great message, I recommend checking out Beauty. Sure it's predictable, but sometimes, don't you want to pick up a book and know it's going good versus being utterly surprised and disappointed? I thought so. Sounds cute. I haden't heard of this book at all. SOunds like the perfect quick summer book. I want to read this one right now! I love light and fluffy books. This sound like a pretty good book. I think I can relate to Molly a lot.. I wish most of the time that I could transform, but that comes with a price indeed - one I wouldn't want to pay. I wouldn't give this book a chance if I saw it in a book store, but after seeing your review, I'm going to check it out :) Thanks!